Most of the senior royal ladies in Europe have multiple tiaras at their disposal, some of them personally owned, some of them loaners from the royal vaults. 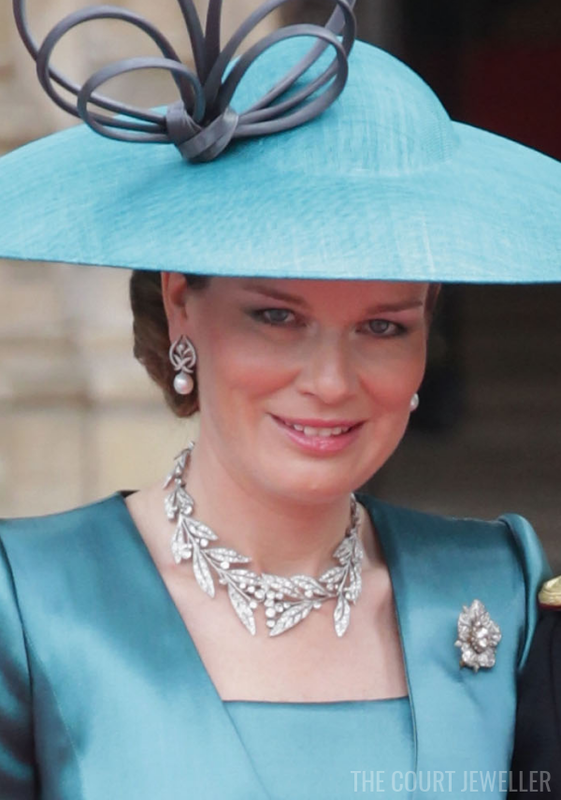 Until her husband's accession to the throne, however, Queen Mathilde of the Belgians only had one tiara in her personal jewel box: her diamond laurel wreath. The laurel wreath is a classic tiara shape, and most royal families have at least one in their collection. But Mathilde's tiara isn't from the Belgian vaults; this one is her personal property. The laurel wreath was given to Mathilde by a group of Belgian aristocrats as a wedding present in 1999, when Mathilde married Prince Philippe, Duke of Brabant. It was an especially fitting present, as Mathilde was born a member of Belgian nobility. In 2013, in fact, Mathilde became the first-ever queen of the Belgians to actually have been born a Belgian. But even though the tiara is relatively new to Mathilde, it's still an antique. It was made by Hennel and Sons, an English firm, in 1912. Since it's the only tiara that Mathilde personally owns, it's lucky that it can also be worn as a necklace -- two for one, if you will. She memorably wore the piece as a necklace at the wedding of the Duke and Duchess of Cambridge in 2011. Beyond converting to a necklace, the tiara appears to be even more adaptable. Mathilde usually wears the tiara on a frame that sets it fairly high on her head. 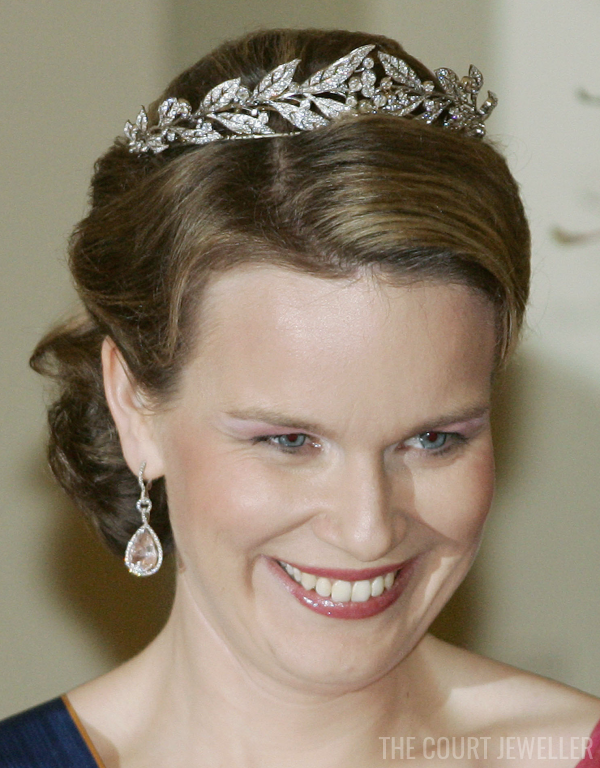 However, Mathilde has also worn the tiara closer to her head, suggesting that either the tiara can be positioned differently on the same frame or the piece came with more than one frame. She's worn the laurel wreath to numerous royal occasions over the years, and I imagine that it will continue to be a staple in her jewelry collection, even though she now has two more diadems -- the Nine Provinces Tiara and the Wolfers Tiara -- at her disposal. Note: this is an updated version, with new text and images, of an earlier post.